RALEIGH, NC (5/19/11) — Local Government Federal Credit Union (LGFCU) is pleased to report that a specially structured Visa debit card available to all North Carolina firefighters and their families has resulted in a total of $529,633 being donated to the NC State Firemen’s Association (NCSFA). 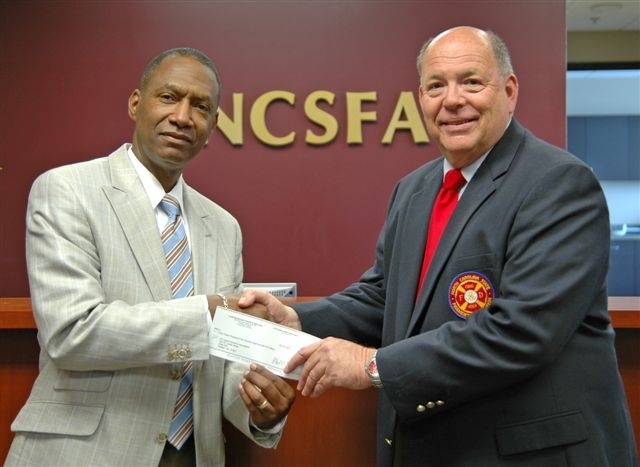 Along with generating revenue for the NCSFA, which provides training, education and support to NC firefighters, the program stimulates spending in communities across North Carolina. Firefighters and their families have used their cards to spend more than $112 million since April 2003. There are currently more than 5,600 cards in circulation.